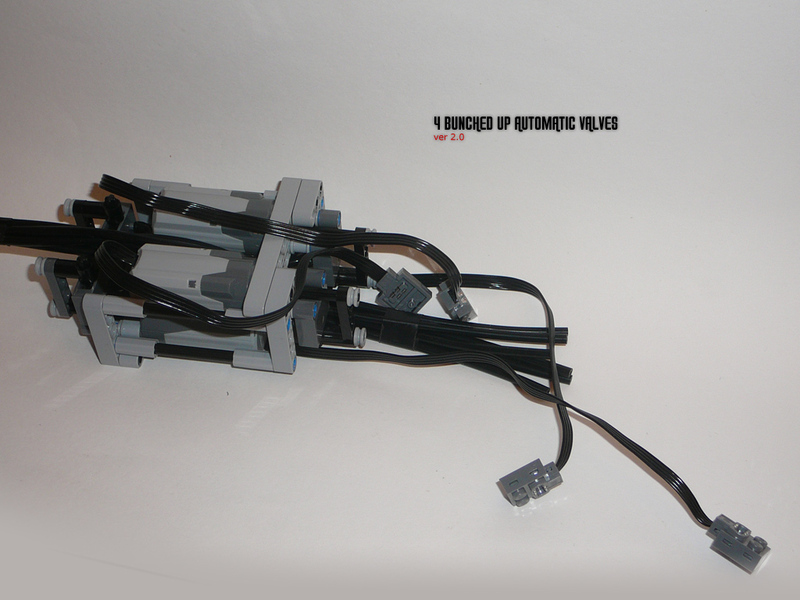 Not exactly the most consensual way of building with LEGO Technic, but some have developed a simple concept for remotely controlling pneumatic valves. First dmac (LUGPol's member) introduced his concept with the video below. An automatic pneumatic valve steered by a PF M-motor. When actuated in one direction, the PF M-motor takes the lever on the valve to one side and then it returns to center. Aiming to achieve a small size, major drawbacks are: motor stalled at both ends of travel, above usual stressed parts and weird angles formed between pats. Also it even shortens the battery autonomy. However the design is simple, effective and small which is quite important when it comes to to remote control a few pneumatic valves into a medium-sized model. Most interesting is the ability from the LPF motor to return-to-center, once de-energized. This happens because the tensions generated are enough to make the PF-motor to rewind a bit. This of course would also be possible with a clutch gear and other return return-to-center solutions presented here. However once more, space saving was the major goal to achieve with this design. 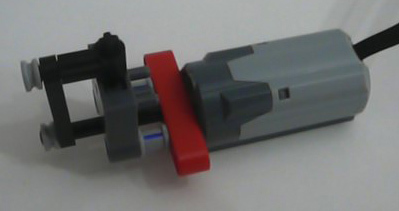 ...and so fistachpl or Intact (another LUGPol member), needing to fit 4 of them into a single MOC, took it even further and proposed a smaller design. Definitely a couple of significant steps to add remote control capabilities into more complex while small/medium sized pneumatic models. Having exchanged some messages with fistachpl, I must admit that the stressed parts here involved may be seen as an acceptable price to pay, comparable to other large models like cranes with huge booms where there are far more compressed and tensioned parts. Some are bended, gears are fatigued and some parts are under combined tensions (compression, bending, etc). Therefore a little bending and torsion of a few parts, may be nothing when compared to what we're already used to see in many other models and most of the times not even notice. In addition it works perfectly still under high pressures and it's very simple design. Although, I'm still a fan from Sariel's pneumatic autovalve design, shown here at TBs long ago. And this won't damage/destroy my precious motors - even when engaged for some seconds? We need a better solution. With return-to-center function!! !